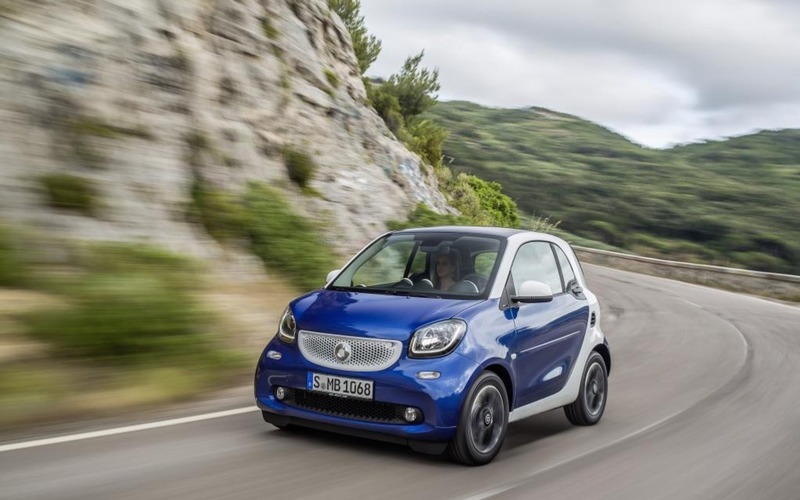 In September 2015, the new generation of the smart fortwo coupe is launching in Canada as a 2016 model. Despite a bumper-to-bumper redesign, it retains its ultra-compact dimensions, its tiny 6.95 metre turning circle and its turbocharged three-cylinder engine producing 89 horsepower and 100 lb-ft of torque. A five-speed manual transmission is newly available as an alternative to a dual-clutch six-speed automatic. There are three trim levels – Pure, Passion and Prime – and Crosswind Assist, developed originally for the Sprinter commercial van and designed to do what its name implies, is standard equipment on all trim levels. Is the Prime what it claims to be? We’ll find out when The Car Guide gets its hands on this new urban runabout. Come back next week for a full rundown on our first drive in the 2016 fortwo coupe.